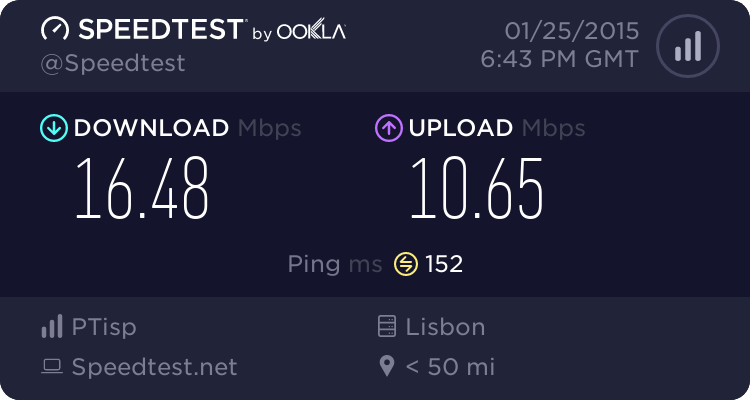 After more than a little scuttling about & frustration on everyone's part, we've now in place a solid anchor node for our exitnode cluster in Lisbon, Portugal. We've retained the name 'tagus' for this node despite it being against our general network administration policy to do so because, well... call it reverse superstition. The machine entered production last nite, and after a fairly intense week on many fronts, it appears nobody on the team actually notified the membership of this auspicious turn of events. Widget-based members, of course, will simply see Lisbon show up on the selection list - and these new resources have already entered the 'dynamic' and 'smoothed' production balancer pools via HAF entries with the respective TLD registrars... but for everyone else, not so good. Apologies for that. So without further ado, we bring you... Lisbon. Edited FQDNs for clarity after uncovering odd DNS resolution issue. Only one remark: the pw-domain seems not working. linux-lisbon.cryptostorm.net.org        canonical name = pewtrusts.org. Did a quick double-click-select->copy on the Linux instance and picked up the above entry by accident. Ran nslookup before I realised my mistake and got the above result. That address shouldn't actually resolve to anything, so there's obviously some DNS oddness going on.